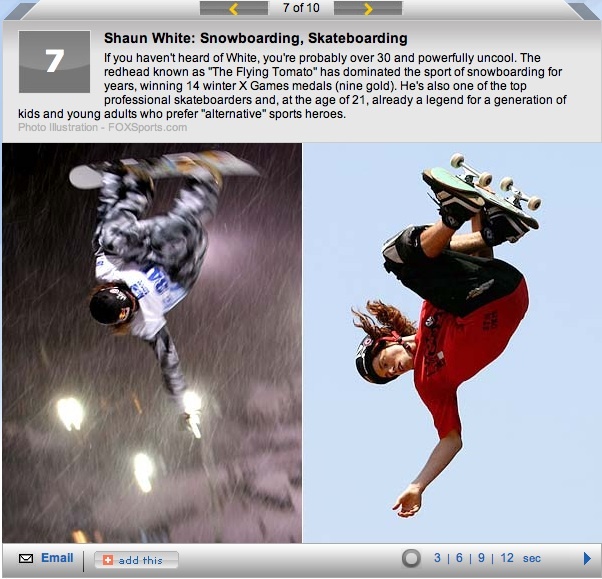 Shaun White recently appeared on Fox Sports list of Top two-sport Athletes of all time. He was sandwiched right in there ahead of “Bullet Bob” Hayes “the world’s fastest human in the 1960s” right behind Deion Sanders “the flashy, brash, and cocky” footballer and baseballer. Not bad company if you’re stoked on team sports. We’re not, but luckily the Skateworks blog keeps track of that stuff for us.